Our range of products include led aviation obstruction lights, double aviation obstruction lights, neon aviation obstruction lights and led double aviation obstruction lights. With the assistance of our team of professionals we are engaged in offering Led Aviation Obstruction Light. These lights are fabricated to ensure its reliability and fidelity. 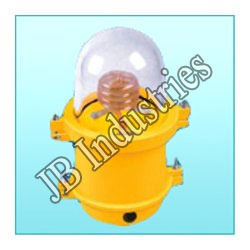 Single Aviation Obstruction Light of incandescent lamp, die-cast aluminum alloy housing with polycarbonate dome. 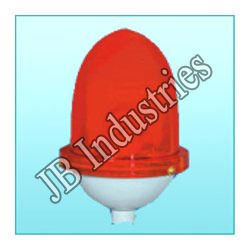 We are among the renowned manufacturer and exporter of Double Aviation Obstruction Lights. These are highly durable and provide most reliable results. Double Aviation Obstruction Light of incandescent lamp, die-cast aluminum alloy housing with polycarbonate dome. 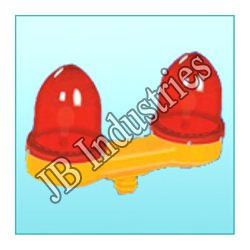 We are the competent manufacturer and supplier of a wide class of Neon Aviation Obstruction Lights. These are manufactured using best quality raw material and latest technology. Single Aviation Obstruction Light of Neon Spiral, with built in 75VA Step up transformer, die-cast aluminum alloy housing, Heat Resistant, Clear thick glass & Accessories. 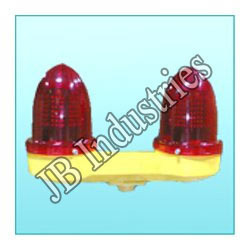 Our clients can avail from us LED Double Aviation Obstruction Lights, which are protected from moisture and dust. Designed using latest technologies, these lights can withstand fluctuations. LED Double Aviation Obstruction Light, die-cast aluminum alloy housing with Polycarbonate Dome. Looking for Aviation Obstruction Light ?